Sunglass Hut wanted to promote their polarized lenses. Instead of talking about the benefits of polarization, we demonstrated those benefits digitally. First, we proposed a partnership with an Instagram to develop a new filter called "Polar" made available via Instagram update. The filter would take photos and approximate what it's like to look through polarized lenses. We wanted to go beyond hashtagging and offer users something useful. Aside from the PR and news that is generated each time Instagram develops and releases new filters (on places like Wired, Mashable, etc), a Sunglass Hut partnership would generate buzz in fashion blogs and magazines. Next, we thought about times when sunglasses are absolutely necessary as a way of reaching consumers. Two obvious choices: traveling, specifically to beachy, coastal locations, and driving. 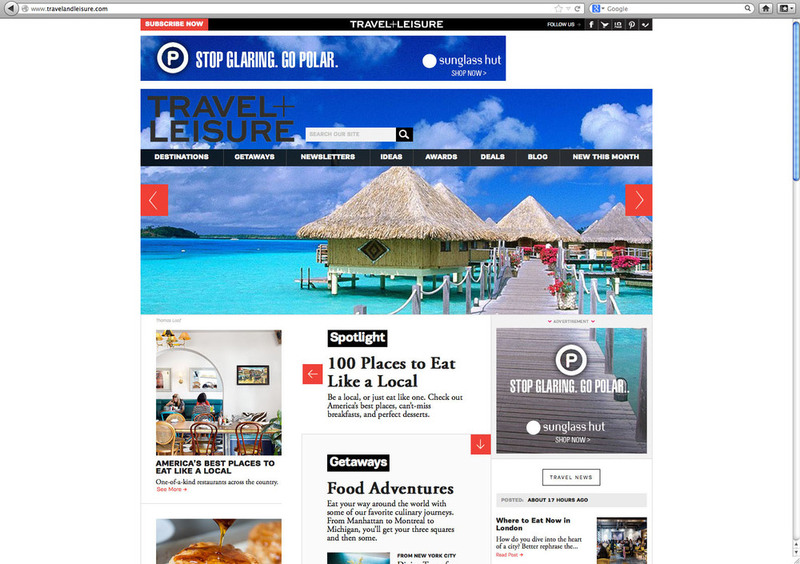 We decided to work with Travel + Leisure as well as Road & Driver to develop takeovers that would leverage their current editorial photography to create a demonstration upon arrival at the site. The takeover would then transition seamlessly into the lead story photograph. Finally, we suggested another demonstration takeover, working the opposite way as the examples above. 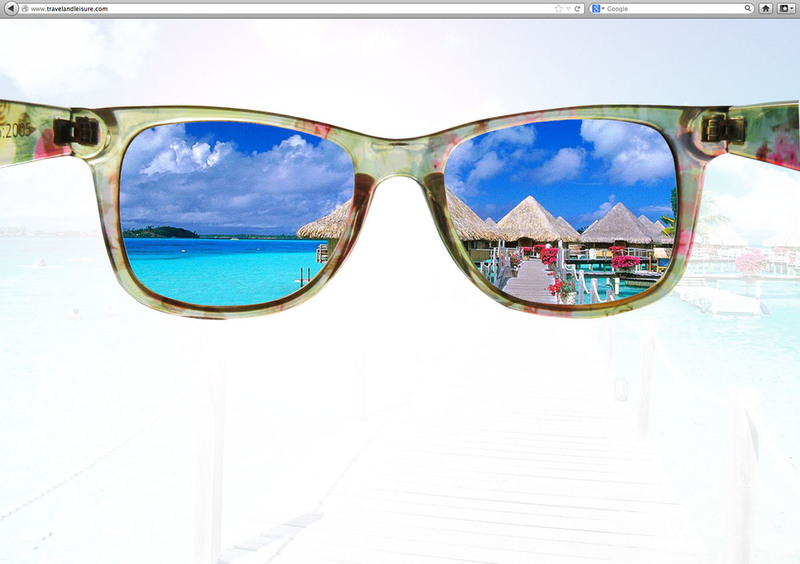 On fashion blogs and sites, the banners would seem to show an innocuous, sunny sky. 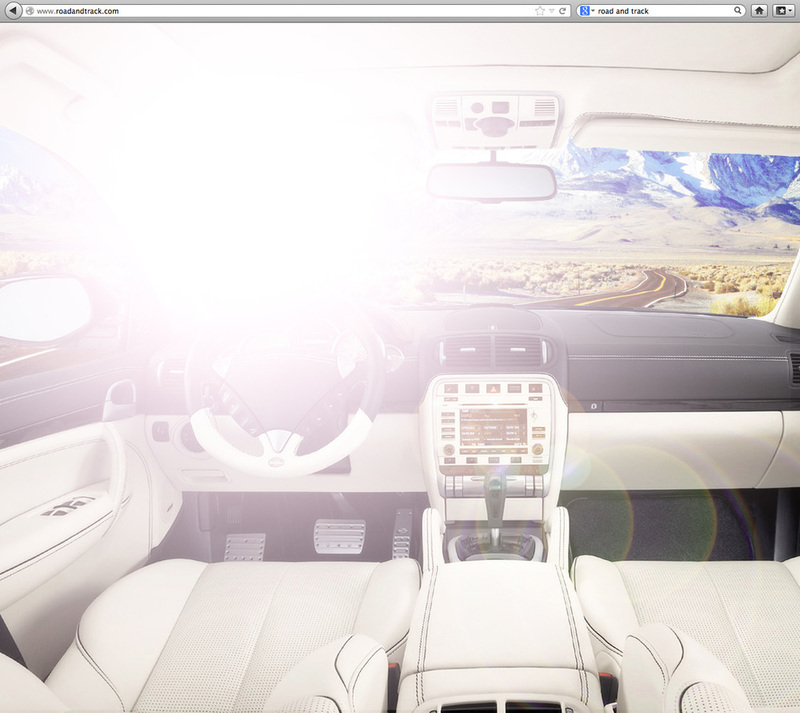 But as viewers started to read the lead story on the site, the sun’s glare would escape the boundaries of the banner to obscure their view of the content. After a few seconds, "Stop Glare. Go Polar." appears in the leaderboard along with a 300x600 banner that drives users to view the polarized offerings on sunglasshut.com.